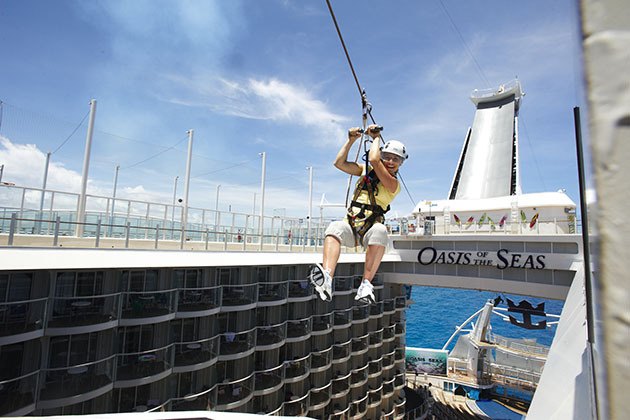 Oasis of the Seas might not be the newest ship at sea, but it's certainly one of the biggest. 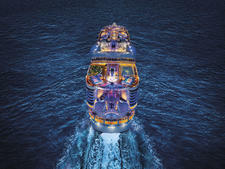 (Its sister ship, Allure of the Seas, is a mere handful of centimeters longer.) 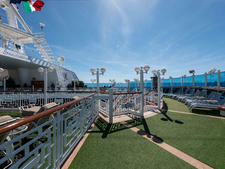 Its 18 decks offer room for more than 5,000 passengers and enough dining and entertainment venues -- spread among seven "neighborhoods" -- to keep them all busy. 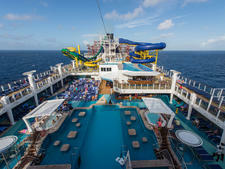 From a zip line, rock climbing walls and surf simulators to a carousel and real, live trees and shrubs, this behemoth vessel is innovative, captivating and, at times, overwhelming. 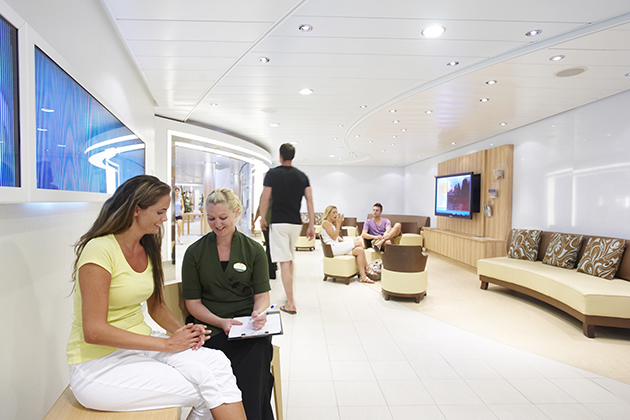 Use these five Oasis of the Seas cruise tips to plan your time onboard. 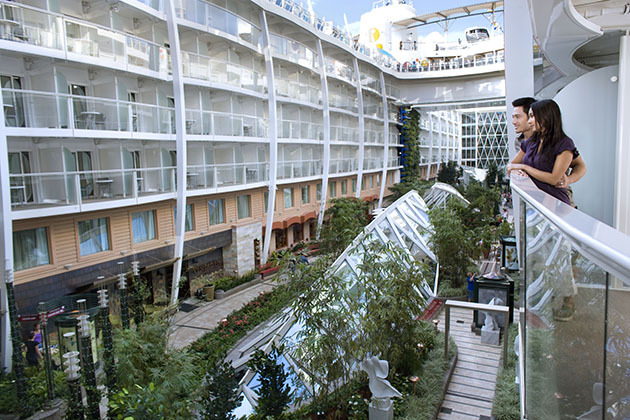 Oasis of the Seas is massive, boasting seven neighborhoods: the Boardwalk, Central Park, the Pool Deck, the Royal Promenade, Entertainment Place, the Youth Zone and the Spa and Fitness area. You'll burn yourself out if you try to see them all and do everything in just a couple of sea days. Focus on those that interest you most. 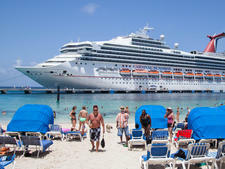 If you absolutely must see it all, be prepared to spend some time poking around the ship on port days, or book a cruise that's longer than a week. 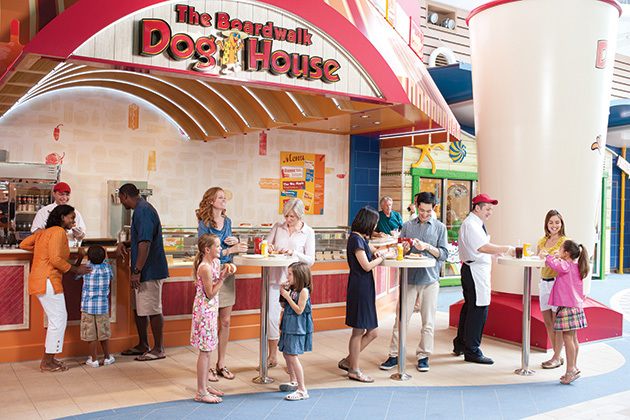 Don't miss the Boardwalk Dog House located just to the left as you enter the ship's Boardwalk neighborhood. 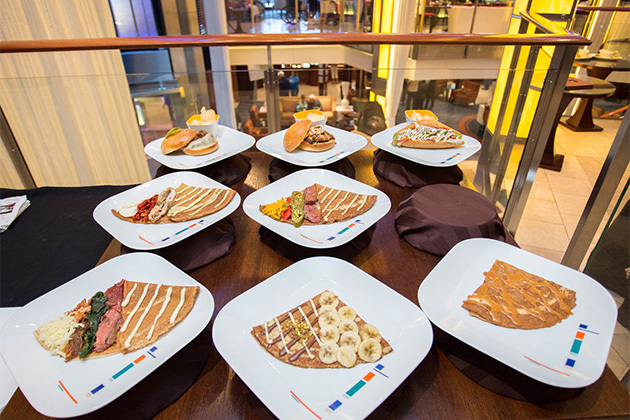 The hot dogs and sausages are free, and they include options like The Warsaw (2/3 pork and 1/3 beef in a caraway seed baguette) and The Big Apple (chicken and apples in a parmesan and cheddar baguette). Don't like any of those choices? Grab a Coney Island (all-beef kosher-style dog in a classic bun), and load up on your favorite toppings to create your own masterpiece. If you're short on time, steer clear of the Rising Tide bar on the Royal Promenade. 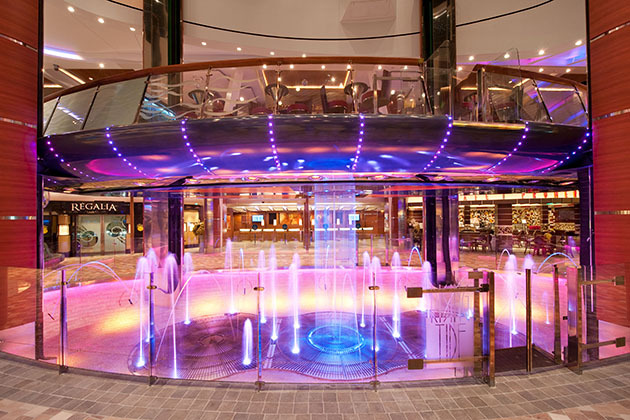 This novelty bar, which levitates on hydraulics and travels between decks, is a fun concept, but ultimately it's overrated. It's particularly not worth the effort if there's a line. Instead, try Vintages, the wine bar in Central Park, which also serves delicious tapas for a small fee.